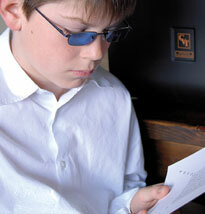 Dyslexia is a learning disability that affects between 5 and 10 percent of the population. A person with dyslexia has difficulty ‘decoding’ words when reading or expressing themselves when writing. The problems can vary from phonological awareness, phonological decoding, orthographic coding, auditory short term memory, or rapid naming. Dyslexia can take mild or more severe forms, and symptoms vary from person to person. 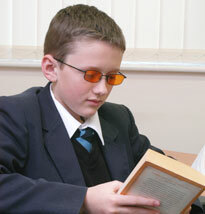 Treatment with coloured overlays or tinted lenses can be used to alleviative some of the symptoms of learning difficulties such as dyslexia, and make them easier to cope with. There is also a large percentage of children and indeed adults who are not identified as being dyslexic but still suffer with similar symptoms. 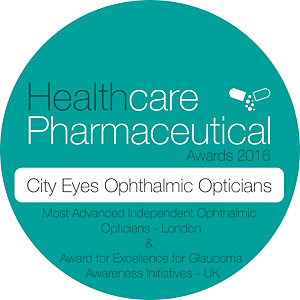 The appropriate coloured overlay or precision tinted lenses can also help this group of individuals. It is therefore important that overlays should not be reserved only for those pupils who have been identified as being in need of specific help. They should be available to any child who does not naturally like to look at books. Visual Stress is a condition which is also known as “Mears-Irlen” syndrome. Visual stress refers to reading difficulties, light sensitivity and headaches from exposure to disturbing visual patterns. It can be responsible for print distortion and rapid fatigue when reading. The severity of visual stress symptoms can vary from person to person. The symptoms can occur despite normal vision. Approximately 5% of the population is severely affected by visual stress and 20% to a lesser degree. When we look at someone wearing a very stripy shirt it may feel uncomfortable for us to look at and it may “make our eyes go funny”. This effect can be seen by many individuals who look at print as this is often a “stripy pattern”. The simple application of an overlay at an early stage could save years of anxiety and prevent the downward slide in confidence which occurs in most cases where children struggle to read.